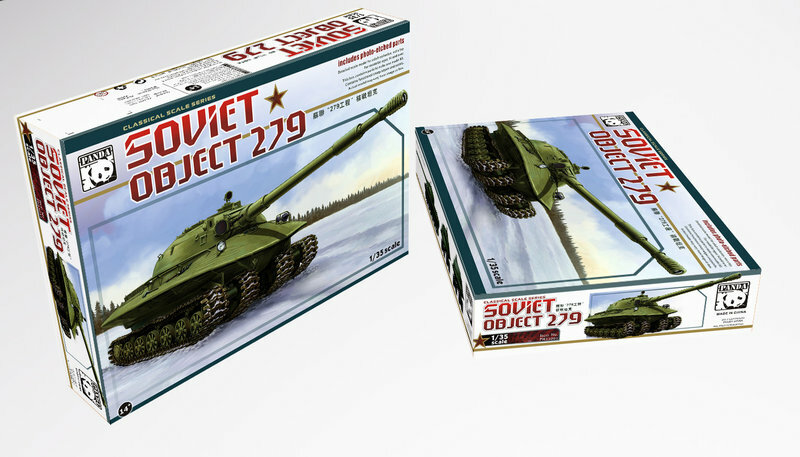 The Russian Object 279 later classified as Heavy Tank was developed in 1957 at the Kirov Plant in Leningrad by L. Troyanov, engineer in charge of prototype tank design. 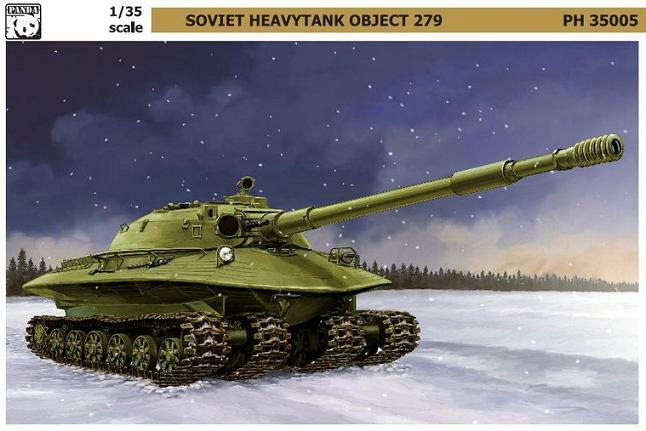 The massive main gun was a 103mm calibre with a muzzle velocity of 1000 m/s, for the 33 kg armor-piercing tracer shell, and a maximum armor penetration of 450 mm of rolled homogeneous armour (RHA) at 90°. On America we hear that Pacific Coast Models have it for preorder.